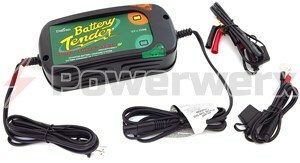 The Power Tender Plus comes with ring terminals to permanently wire to a battery. If you need a temporary connection, use these alligator clips that mate to the The Power Tender Plus factory bullet/SAE connector. Includes 7.5 amp in line ATC fuse. 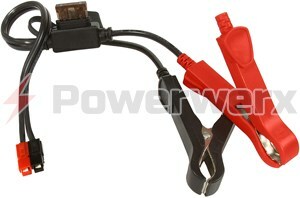 The Power Tender Plus comes with ring terminals to permanently wire to a battery. If you need a temporary connection, use these alligator clips that mate to the The Power Tender Plus factory bullet/SAE connector. Includes 7.5 amp in line ATC fuse.